All stylists set their own prices. There is a range of prices. Please confirm with your stylist which level you want. We not only make you beautiful! We make your hair style stunning as well. At Studio Six the Salon & Spa, your experience is our highest mission and we strive to go above and beyond for your every visit. From cuts & color to skin care, we will enhance your beauty and well being. We strive to exceed your expectations every time. We strive our best to stay current on our prices, however we are always adding new services and prices. So please give us grace of being off a few dollars. *For extra long hair an additional $19 will be charged for extra color. Based on 4 oz. of color. Starting at $302 or $252 as an add-on to color. Without Trial. Starting at $55 per person. On location consultation & contract. $160 or $130 as an add-on treatment to color. STUDIO SIX the SALON & SPA in Uptown Gig Harbor is a Gig Harbor icon. We are committed to our community and locally owned. We’ve have established ourselves as a well-respected Gig Harbor Salon with a highly deserved reputation for “Best In Service Salon”. We are proud to have been named Best Spa in Gig Harbor in 2008. 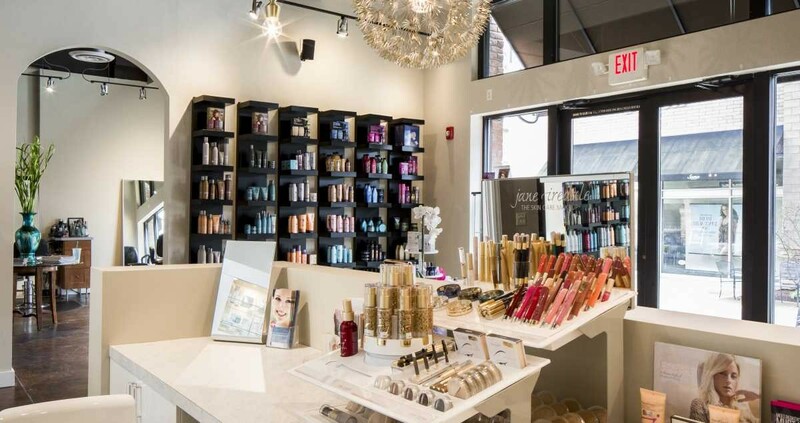 Located Uptown Gig Harbor we offer a connection to Fashion and World Class Service. Owners Shawna Shelton and Nicolette Hooper are Gig Harbor locals who vow to be in the relentless pursuit of the “WOW” client experience. We welcome you. Come in and experience STUDIO SIX the SALON & SPA. It is important to take care of yourself. When you greet the World you want to look your Best. It is important to take care of yourself. When you greet the World it will be a purposeful you. It's also important to take care of your skin. You want to have confidence in the you that the World meets.